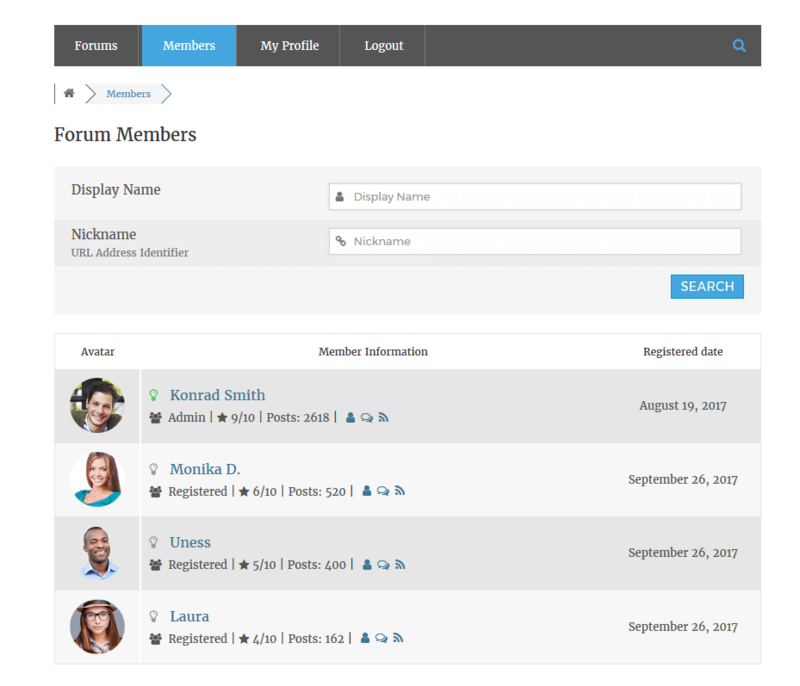 Started from 1.4.0 version wpForo comes with Member Search Type option. This option is located in Dashboard > Forums > Settings > Members admin page. If this option is set “Filter”, you’ll see an advanced search form based on user fields. 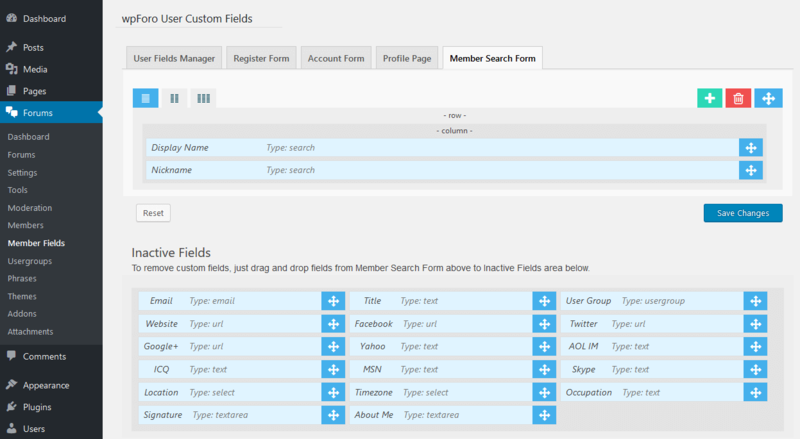 You can filter members by custom fields created in wpForo User Custom Fields addon. Custom Fields are already created in User Fields Manager tab and are listed in Inactive Fields area below Members Search Form area. To add a new custom field in form, just drag and drop fields from Inactive Fields area to Members Search Form area. If you want more fields, please navigate to User Fields Manager tab to create them.